We are the longest established and most experienced provider of online revision courses for the Royal College of Emergency Medicine (RCEM) examinations. Our new FRCEM Intermediate SAQ examination revision course has been over a year in development and our new short answer questions are closely aligned to the updated RCEM curriculum and new exam format. We believe that using this course is the best way to maximize your chances of success in the FRCEM Intermediate SAQ examination. Over 1200 total questions written using the RCEM curriculum and previous exam topics. Over 850 brand new short answer questions (SAQs) in the new FRCEM Intermediate Certificate examination format. Over 350 old style MRCEM SAQs also based on the RCEM curriculum for additional practice. Detailed revision notes with all questions, many questions also containing images and exam orientated revision tips. 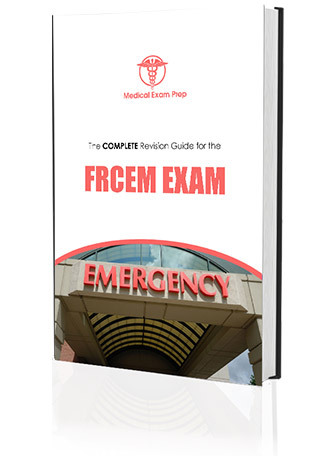 Mock examinations that closely represent the actual FRCEM Intermediate Certificate examination. Questions covering all of the clinical areas relevant to the exam: Medicine, Trauma & Orthopaedics, Paediatrics, Surgery, Toxicology, Anaesthesia, Ophthalmology, ENT, Maxillofacial, Obstetrics & Gynaecology and Psychiatry. New section covering ethical and legal dilemmas for the Intermediate Certificate examination. Detailed marking schemes to allow self-assessment and monitoring of your progress.